The Shure Beta 87A has a built-in pop filter and a low-frequency roll-off that reduces the proximity effect so you can get your lips up close to this mic. This mic is used live by Kris Allen who won the 8th season of American Idol. Many customer reviews compared this to the SM58 and were almost unanimous in saying this gives them a much clearer sound. A lot of owners say they use this with flat EQ because it already has a very good frequency response for vocals. Some users report feedback problems if you cup the mic with your hands. 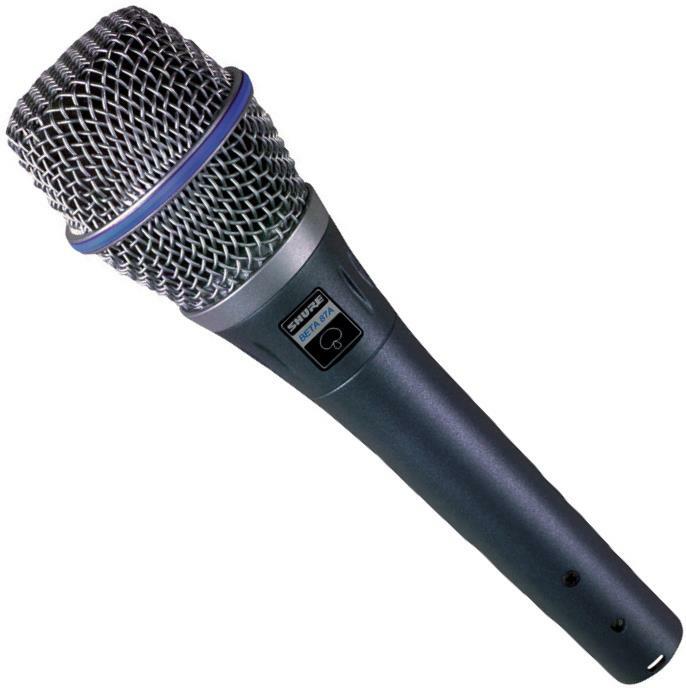 Although not well suited to hard rock singers and rappers who like to cup the mic, it is very well liked by most other types of singers.